Not drunk in charge of a model boat, just asleep and snoring! Happy New Year John, and All SRCMBC Memebers. John thanks for being a good sport in allowing this posting. 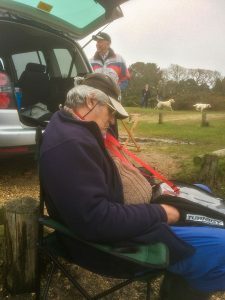 Solent Radio Control Model Boat Club Home Page > Scale Section News > Some people had a hard Christmas!